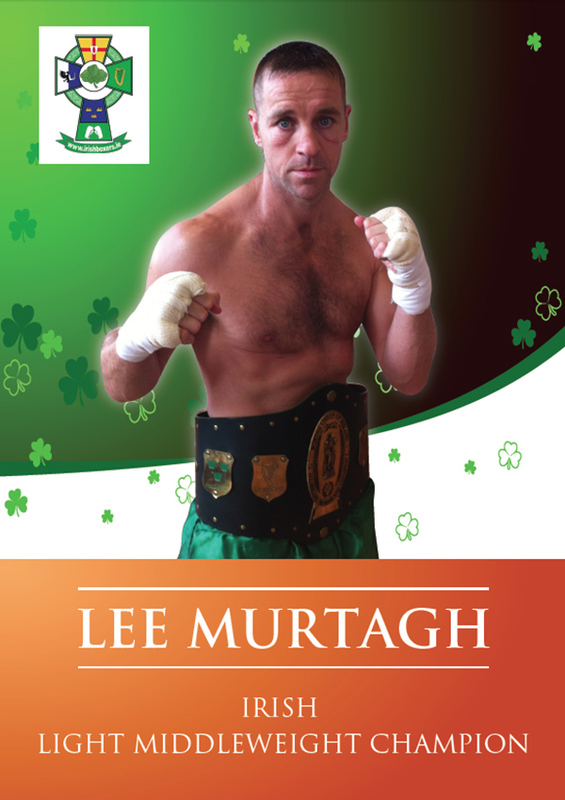 Irish Light Middleweight Champion Lee Murtagh is the latest addition to the Dave Murphy, in association with Acourtier Events, promoted ‘Independence Day’ extravaganza at York Hall in Bethnal Green on Friday 5th July. On his most recent defense, Murtagh,who won the Irish title back in July 2012, after Joe Hillerby retired with a dislocated shoulder, was involved in a classic toe-to-toe Battle Royale with Ballyclare’s Willie Thompson. Right from the off, both protagonists battled for control of centre ring, which was just fine for the raucous Ulster Hall crowd, who always enjoy a good old fashioned war. Besides some questionable use of the head by Thompson, the bout was a small hall classic,after ten all action rounds the man that matters, referee Paul McCullagh, scored the bout a very close 96-95, in favour of Murtagh. On the 5th July, London’s fight fans get their first chance to watchfifty fight veteran Murtaghin action, as surprisingly it’s only now that he makes his very first appearance at York Hall. On the night Murtaghwill be campaigning in a six round bout, loosely described as a warm up, as part of his preparations for a shot at the IBO Light Middleweight Inter-Continental title in October. Leeds based Murtagh joins fellow countrymen, WBU Lightweight World Champion Stephen Ormond and Steve Collins, no not the legendary ‘Celtic Warrior’ but his son Steve Jr.
Keeping the Irish theme Manchester based Maxine McCarthy makes her most welcome return to the ring, against JulijaCvetkova. Speaking from his Leeds home Murtagh spoke briefly on his joy of fighting at the York Hall for the first time. “I didn’t expect to be fighting in the UK again, so am really overjoyed to be fighting at York Hall on July 5th. The show might be in London but there’s a heavy Irish presence. Besides myself Stephen Ormond and Steve Collins Jr. are also fighting and I’ve just heard that Maxine McCarthy has been added to the card, so there’ll be four of us there. This will be my first outing this year, but from what I’ve been told by promoter Dave Murphy it definitely isn’t my last. He’s told me he already has a title fight lined up for me in October. I don’t know who I’m fighting yet, but that doesn’t matter as I’m ready for anyone. My training camp has been first class so I know I’m going to be a hundred percent ready. Lee Murtagh versus a yet to be named opponent is set to feature on the support card of the historic Female Light Middleweight World Championship battle between Jennifer Retzke and Angel McKenzie headlines the Dave Murphy, in association with Acourtier Events, promoted ‘Independence Day’ event, which takes place at York Hall in Bethnal Green, London, on Friday 5th July 2013. Tickets, priced £30 (Gallery), £35 (Ground floor standard seated) and £65 (Ringside) are available on-line at www.tkoboxoffice.com- www.mariannemarston.com - www.acourtier.com - or in person from the TRAD TKO Boxing Gym in Canning town – www.tkoboxinggym.com - and Ringtone Gym in Euston - www.ringtonehealthandfitness.com - or from any of the boxers taking part in the event, or call – 07960 850645, 07809 499896 or 07557 641597 for further information.